Have You Been Charged With Reckless Driving In New York? Nassau County Takes Traffic Offenses Seriously! FIGHT YOUR RECKLESS DRIVING CHARGE WITH AN EXPERIENCED NASSAU COUNTY TRAFFIC LAWYER! DO NOT PLEAD GUILTY TO A RECKLESS DRIVING OFFENSE IN NEW YORK! In New York, the use of a vehicle is considered a privilege, not a right. When law enforcement feels that you are a danger to others on the road, you may find yourself being charged with a reckless driving offense. For some, your first instinct may be to simply pay the fine. However, paying the fine is considered an admission of guilt and therefore will result in a conviction for this offense. Before you pay the fine, you need to contact Nassau County’s best traffic lawyer. The Law Offices of Michael H. Ricca P.C. can help you fight your reckless driving citation. But the fight starts with you. Below, we help to define exactly what New York views as reckless driving, as well as the potential consequences of being convicted of this offense.  In New York State, the Vehicle and Traffic Law (VTL) governs all things related to the use of a vehicle on roads throughout the state. This includes everything from administrative requirements, such as vehicle registration and licensing, to the actual use of the roads, including things such as excessive speeding, the use of child restraints, and texting while driving. Reckless driving in New York is defined by New York VTL, Section 1212. According to New York VTL 1212, there are two reasons that can lead to you being charged with a reckless driving violation. Once law enforcement has ticketed you for these, the district attorney can choose to prosecute you. Convictions are based on the following VTL 1212 verbiage. First, you can be convicted of a VTL 1212 violation if you were driving in a manner that “unreasonably interferes” with the “free and proper” use of a public highway. Second, if you were driving in a way that “unreasonably endangers” the use of a public highway, you can also be convicted of reckless driving. Based on these criteria, you may feel that VTL 1212 is extremely generic and broad. You are not wrong in this assumption. Reckless driving is a catch-all for unsafe use of roads throughout New York. Because of this vague definition, law enforcement can charge you with reckless driving even if you are following the posted speed limit. Swerving unsafely, driving in the wrong lane, and other such offenses may result in a reckless driving ticket, in addition to their specific offense citations. 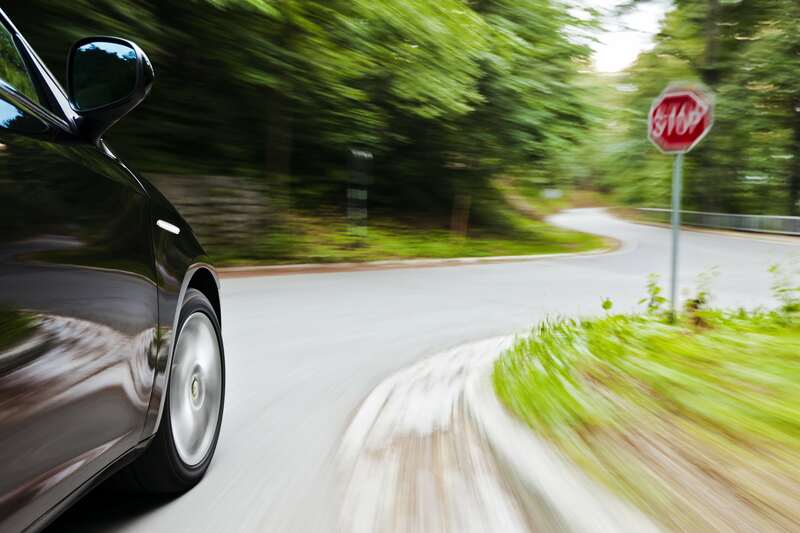 Driving more than 30 MPH over the posted speed limit will often incur a reckless driving citation as well, regardless of whether you were swerving or not. Reckless driving convictions will result in several penalties. As a dual-nature crime, it falls under both criminal and traffic laws. In accordance with both the New York Penal Law and VTL, these penalties are as follows. When you are convicted of reckless driving, you are found guilty of an unclassified misdemeanor. As such, New York Penal Law, Section 70.15 outlines the mandatory sentencing guidelines that you face. It is important to remember that, even as an unclassified misdemeanor, a conviction for reckless driving will add to your criminal record. This can be particularly devastating for the majority of law-abiding citizens as this single conviction can cause you to fail background checks used for employment, financial assistance, and more.  Any type of conviction on your criminal record makes potential subsequent charges more serious as it demonstrates a continued trend of disregarding New York State laws. A reckless driving conviction does more than just affect your criminal record. It also has the ability to impact your driving privileges in New York. New York Point System: A reckless driving conviction will result in 5 points being added to your driving record. Why does that matter to you? In New York, the Department of Motor Vehicles (DMV) has enacted a driving point system to help flag high-risk drivers. Accumulating certain amounts of points will cause automatic administrative actions from the DMV. It also helps to alert law enforcement to driver’s who repeatedly disregard the VTL, leading to an increased likelihood of subsequent citations. Driver Responsibility Assessment Fee: A reckless driving conviction puts you much closer to incurring a Driver Responsibility Assessment fee from the DMV. Once you accumulate at least 6 points on your license during an 18 month period, the DMV will automatically initiate the Driver Responsibility Assessment process. The Driver Responsibility Assessment fee is a 3 year penalty. During that time, you will be required to pay a minimum of $100 each year. That means you will owe a total of $300 while undergoing a Driver Responsibility Assessment. Furthermore, if you are convicted of subsequent traffic violations during this 3 year period, you will be charged an additional $25 per point over the original 6 points incurred. License Suspension or Revocation: Depending on your current driving record, you may face a license suspension or revocation upon a reckless driving conviction. When you amass 11 points on your license within an 18 month period, the DMV will automatically suspend your driving privileges. That means that your license will not be valid until your suspension has been lifted. In New York, you may face a definite or indefinite license suspension. Definite license suspensions have a specific start and end date. An indefinite license suspension, however, can only be lifted once you have met specific requirements as ordered by the DMV. For all types of license suspensions, you will need to pay a suspension termination fee before the DMV re-validates your driving privileges. In extreme cases, you may also be subjected to a revocation of your driving privileges. That means your privileges have been completely cancelled. Not all revocations are permanent, however, and a specific amount of time will be provided. However, you will need to reapply for a license only after the DMV’s Driver Improvement Unit (DIU) approves the request. This means you will need to retake all driving tests, pay all application fees, and still pay a termination fee before you are able to legally drive in New York again. Insurance Premiums: The DMV does not control your insurance premiums, nor does the justice system. However, the majority of companies that insure drivers in New York will increase your premiums with each traffic offense you are convicted of. Reckless driving is considered one of the more serious traffic offenses by an insurance company. Expect your rates to go up upon your conviction for reckless driving. A reckless driving ticket is not only a violation of the VTL. As an unclassified misdemeanor, it is also a criminal action. As stated above, paying the associated fine or pleading guilty to this offense means you have been convicted of a crime in New York, not just a traffic infraction. The consequences of this, which are explained above, are more extensive than most other traffic offenses due to the dual nature of being a VTL and Penal Law issue. Fighting a reckless driving offense is extremely important because of the criminal and DMV-related aspects of a conviction. This is especially true if you have been previously convicted of any traffic offenses within the last 18 months. No one should hire just any lawyer to handle their reckless driving citation. The Law Offices of Michael H. Ricca P.C., however, focuses on both traffic and criminal defense representation. This means that we have extensive experience with addressing both VTL and Penal Law violations. Because of the dual nature of a reckless driving offense, having a lawyer who has experience in both types of legal battles offers the best of both worlds. The Law Offices of Michael H. Ricca P.C. brings experience, knowledge, and passion to the defense of all of our clients. Coupled with our dual-focus on traffic and criminal defense, this gives us an edge over many other legal firms throughout Nassau County and the surrounding areas. Fighting Tickets Is as Easy as 1-2-3! The Law Offices of Michael H. Ricca P.C. prides itself on making your fight easier. Our 3-step process streamlines the fight and helps ensure you meet all deadlines and requirements of the DMV and State of New York. Submit Your Ticket. You can easily submit your ticket to our office in seconds. Simply scan a copy and either submit it via our website or email it to Tickets@RiccaLaw.com. Receive A Free Consultation. Within 24 hours, you will receive a call from our office. During this free consultation with a lawyer, we can go over the charges, circumstances, and likely outcomes of your fight. You can ask any questions you may have, as well, to ensure you are comfortable with any part of your situation as it pertains to your reckless driving offense. Digitally Sign Our Retainer Agreement and E-Pay. If you decide you would like to be represented by The Law Offices of Michael H. Ricca P.C., we will email you a digital copy of our Retainer Agreement and e-pay link. Simply digitally sign and return the Retainer Agreement via email and make your payment online to secure your case with our firm. In most cases, those who hire The Law Offices of Michael H. Ricca P.C. as their representation for traffic citations will not need to attend any hearings related to their charges. However, this may not necessarily be true of a reckless driving offense. Depending on the exact circumstances of your citation, you may need to be present for your court hearing. Your lawyer will maintain communication with you throughout this process and inform you of any instances that will require your physical presence. In addition to a streamlined traffic ticket process, The Law Offices of Michael H. Ricca P.C. fights your conviction as if they were our own charges. That means you get legal representation that takes the fate of your reckless driving violation seriously. We understand the consequences associated with a guilty verdict. From financial burdens and jail time to the full impact of a criminal conviction, The Law Offices of Michael H. Ricca P.C. understands the spectrum of damages a reckless driving charge may do. Because we understand these dynamics, we realize the importance of having a dedicated private counsel. At The Law Offices of Michael H. Ricca P.C., we only accept cases that fit into our workload, allowing us to provide the time, dedication, and experience each case needs. Unlike a public defender, which is not typically offered in VTL violations, we can ensure you receive the representation you expect of a reputable criminal defense attorney. ACT NOW! HIRE THE BEST NASSAU COUNTY LAWYER FOR YOUR RECKLESS DRIVING CHARGES TODAY! You have 15 days to respond to your reckless driving citation from the date of issue. Failure to do so will result in an automatic suspension of your driving privileges. Once this occurs, the only way to lift the suspension will be through fulfilling the ticket response requirement and paying the mandatory suspension termination fee. That means you must act quickly if you want to avoid additional delays, fees, and penalties. We strongly urge you to contact an experienced traffic attorney immediately after you receive any traffic ticket. This becomes even more crucial with a reckless driving offense. You can contact The Law Offices of Michael H. Ricca P.C. today for your free consultation!